It is a broadly described annual report of Pragati Life Insurance Limited in the year of 2015. 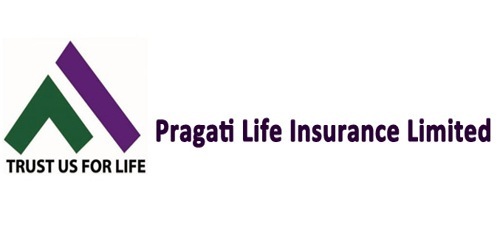 Pragati Life Insurance Limited earned Taka. 2,328.27 million as at December 31st, 2015 as against Taka. 1,966.15 million as at December 31st, 2014 registering an increase of 18.42%. Payment to the policyholder in the year 2015 was Tk. 1,170 million as against Tk. 943 million in the year 2014 is an increase of 24%. The Life Funds during 2015 was Tk. 4,260 million compared to Tk. 3,887 million in 2014 showing a growth of 9.60%. The gross premium income during 2015 stood at Tk. 1,989.78 million against Tk. 1,655.52 million in 2014 registering a growth of 20.19%. The total investment income made by Pragati Life Insurance Limited rose to Tk. 344.07 million in 2015 from Tk. 336.07 million in 2014 registering an increase of 2.38%. Total assets of the Company stood at Tk. 4,126.79 million as of December 31st, 2015 against Tk. 3,794.22 million as of December 31st, 2014 registering an increase of 8.76%. Accordingly, the Board of Directors of the Company did not recommend any dividend to shareholders and bonus to policyholders for the year 2015. These financial statements are presented in Bangladesh Taka (Taka/Tk/BDT) which is the company’s functional currency. All financial information presented in Taka has been rounded off to the nearest Taka.